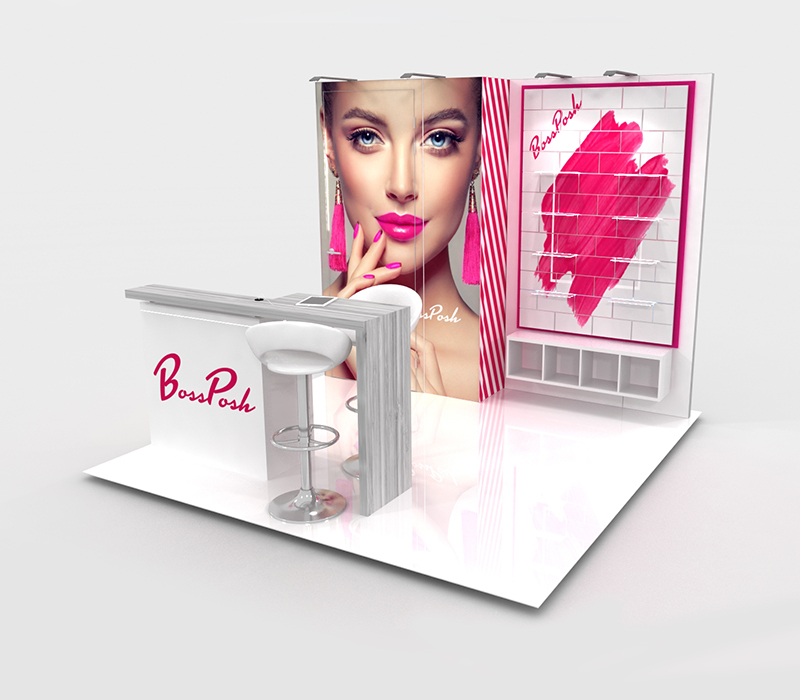 This 10 x 10 booth is perfect for a beauty or cosmetic trade show/expo. 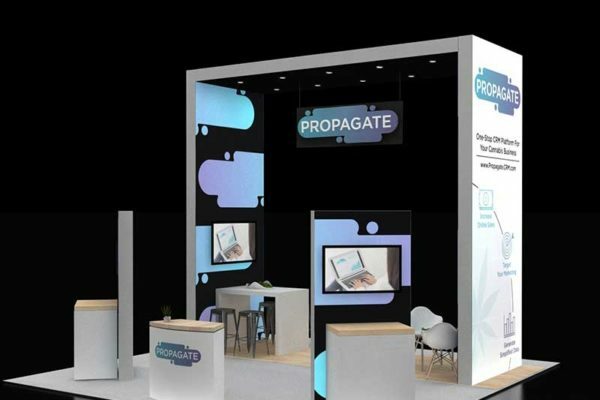 This beauty trade show booth gives you the perfect amount of space to show off your branding, display your products, and give demonstrations. 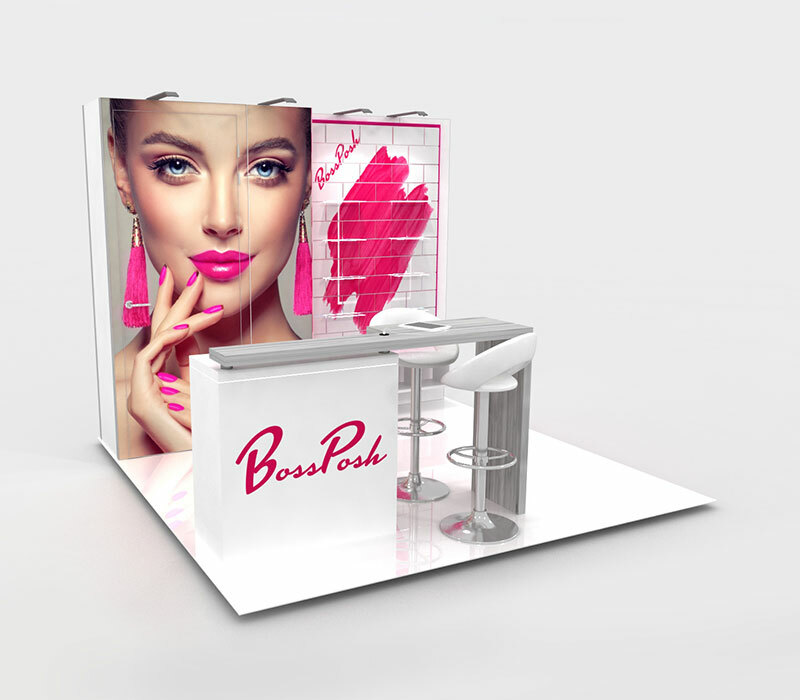 The booth includes high-quality custom graphics and custom product display shelves. 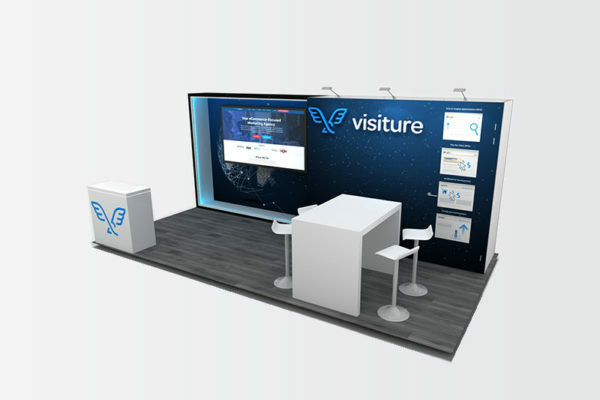 This booth's sophisticated look is enhanced with upgraded plastic tile raised flooring. 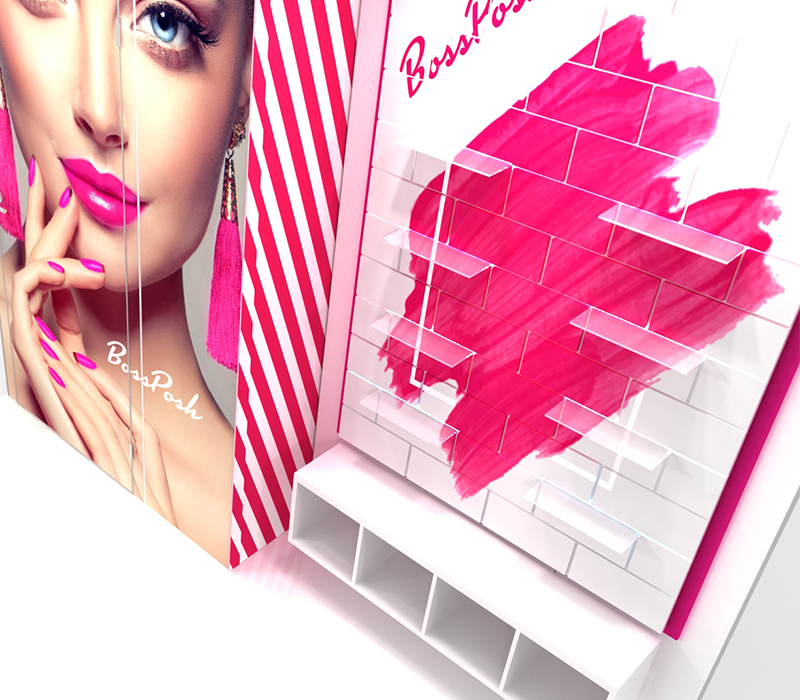 The back wall tiles are a slatwall alternative and can be printed on. 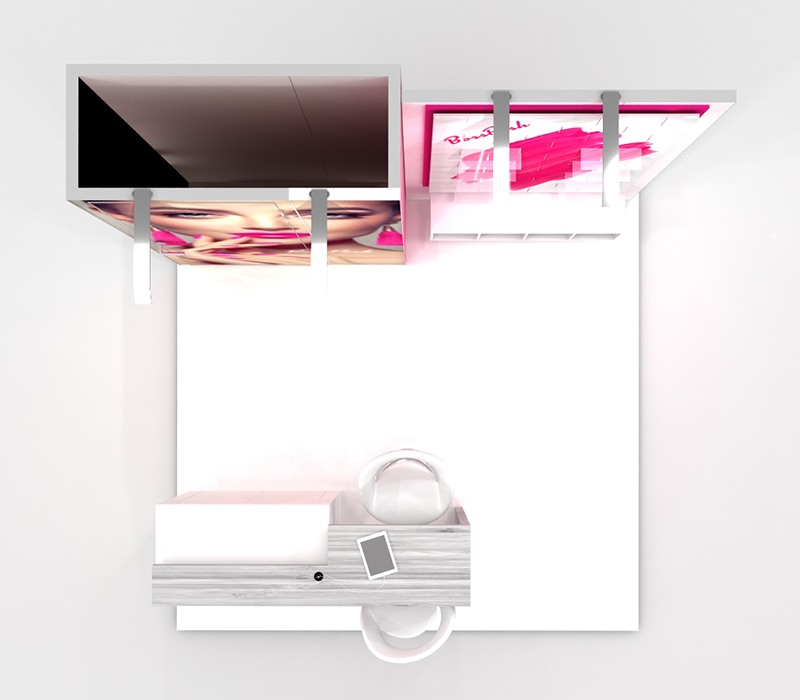 The clear shelves are internally lit to complement your product. 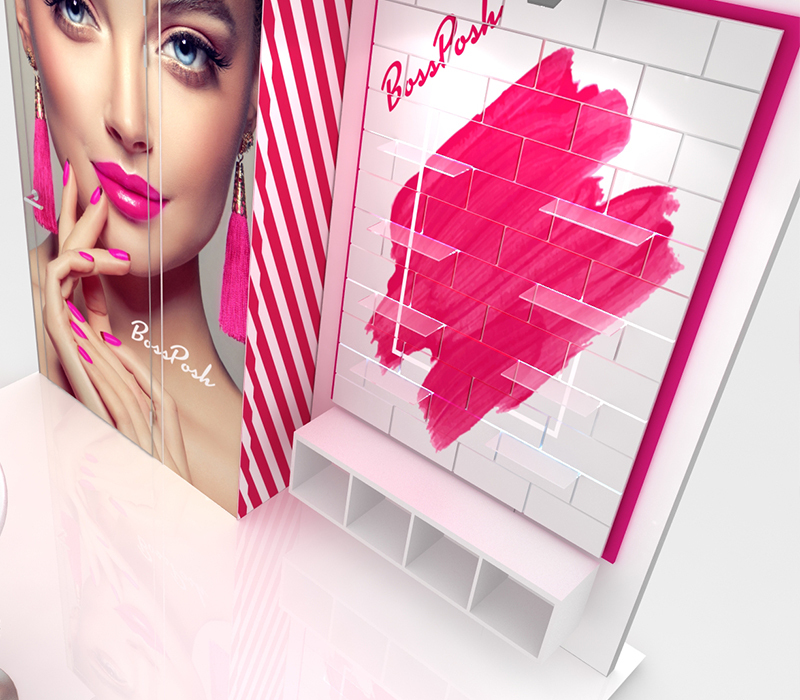 The reception counter can be customized to fit your brand and is internally lit. The counter also has a convenient USB charging station built-in for all of your necessary devices. 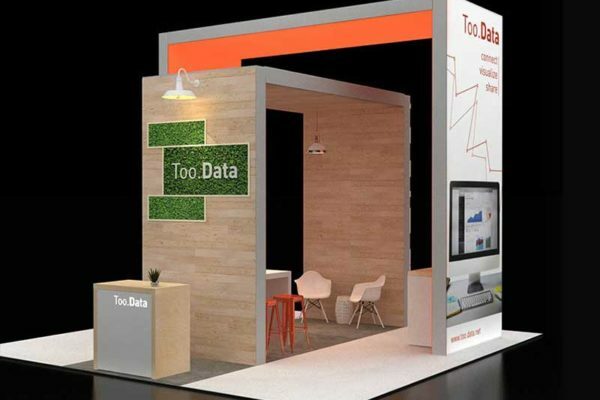 This booth will not be missed on the trade show floor!